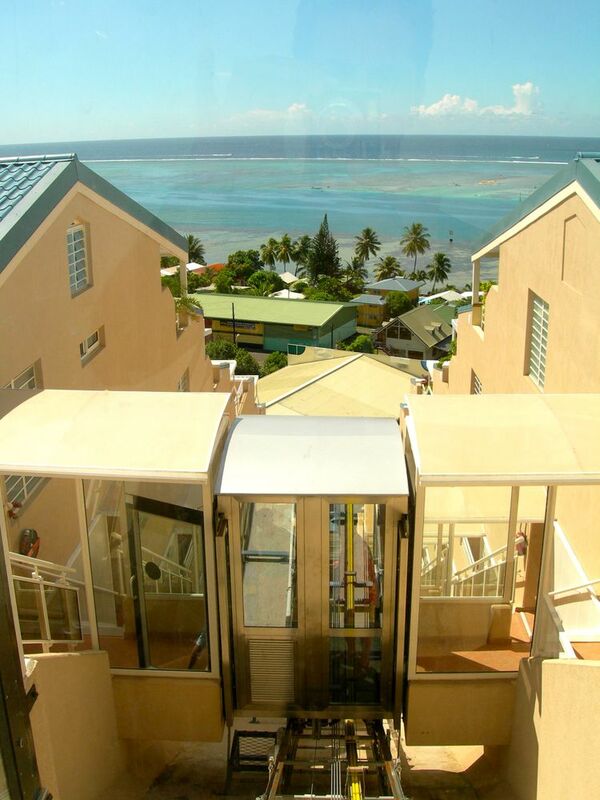 Effortless access to apartments, garages, swimming pool or tennis courts overlooking your co-property … so many reasons to opt for the inclined lift. The inclined lift, also known as funicular, is the only solution to your accessibility problems. It allows you to servicing your condo while facilitating the daily access of your residents to its various facilities. Many architects and developers come to us in order to achieve inclined lifts located in the heart of their condominium, thus enabling the construction of car parks at the bottom of the residence. This allows the economy of an access road, increasing the building floor area. Tireless and silent, already adopted by many condominiums, our inclined elevators meet all the technical security, employs a proven technology for many years (European standard NFP 82-400) and also facilitates access to disabled. With a pleasing and original aesthetic, it fits into your property without destroying the natural environment.